We had high expectations for you and you guys managed to totally exceed them. Mc Marco managed the event perfectly and you killed it! I got a lot of feedback from the guests and our families and they were very impressed by your performances. We will be writing reviews of all our vendors and we'll make sure we give you guys a great one! Just wanted to thank you guys for the sept 8th and 9th dj services! You guys including Max and Arjun really got the room bumping and music was a big thing for me. I planned the wedding myself and didn't realize it was such a big challenge... I was worried I hadn't put enough effort into the music but you guys really took it into your hands and made that part amazing! Thanks again. We had an amazing time at out wedding. DJ Chackoflavz and MC Gino rocked the house. They had amazing energy and our guests enjoyed the music. We are currently on our honeymoon and will be back on the 15th. Our photos proofs are to be coming in 2 weeks and can definitely send it to you once we receive it. Thank you for all your help!! Sorry for being so MIA after the wedding! Things have been kind of hectic with the move to Chicago! Thank you for the pictures and for exceeding all of our expectations. Everything was executed perfectly. No words, it was flawless! Your service and staff was amazing! We love you and always keep in touch! I filled out the post event Questionnaire for August 25-26th. P.S. We forgot to tip you guys at the end of the evening even though it was already prepared. I didn't get to thank you and Gino personally at the wedding. Deepa and I had a blast, and you guys were a huge part of that. As usual DJ USA killed it and DJ KKV was great. Party was a huge success. Thank you! We were so impressed with our event thanks to you guys. We couldn\'t have done it without you and you helped make it the most memorable and happy day of my life (bride). It truly was the best day ever. Thank you! He played both musics we loved and requested. However he also read the crowd well and played songs that brought everybody to the dance floor. Both our guests and us were extremely satisfied. We got back last weekend from our honeymoon and started back work and school this week. The evenings currently consists of putting together our furniture and unpacking. Sorry we didn't get a chance to reach out sooner, we're still trying to settle in. But THANK YOU for everything you, Sharad and the DJ USA team did for us! You guys are true professionals. The music was bumping and everyone had such an awesome time dancing and partying. I appreciate getting to know you over the last few months leading up to the wedding. I hope we can be in touch and if there's any events from our end, I hope we can work together again. You're the man Avi! We jut wanted to say thank you for everything! Our wedding was fantastic and Gino was EXCELLENT! We so appreciate you taking the time to work with us and accommodate our requests! Everyone loved the music and had great things to say about it! I wanted to thank you for the wonderful job you did with my wedding events! It went amazingly well and I appreciate all the help and guidance you provided us in ensuring it all went smoothly. You were all so professional and I cannot speak more highly of my experience with you. Sorry I wasn't able to thank you in person! Thanks again for making my events memorable and I hope we can work together again in the future! On behalf of CH2, I want to thank you and DJ Avi for yesterday. Avi is patient, reliable, and so easy to work with. Plus, he goes above and beyond to help make our events successful, from making timely announcements, calmly troubleshooting problems, and accommodating song requests from our guests. There are a lot of moving parts at our events, but when it comes to the music and A/V, we know we have nothing to worry about. Avi was great to work with! He was very helpful and was an awesome DJ! Gino was really the perfect MC! He really knew how to motivate the crowed! It was one of the best dance floors I have ever seen! All of our guests couldn\'t stop talking about how great of a time they had at our wedding! Thank you again! I just want to thank you for entertainment that was provided over the weekend. Everyone had a blast and that\\\'s all due to the awesome music you played throughout the night. The dancefloor was packed from 8 until 2am and Juicy and Marco killed it. We absolutely loved working with DJ USA. Avi and the team were absolutely fantastic. Despite our difficult work hours, Avi was flexible around finding times to catch-up and discuss wedding details. He was always very responsive to our questions and got back to us promptly. Music selection the day of was exactly what we had hoped for and he kept the crowd dancing throughout the night. We hired DJ USA for 2 of our wedding events and both of them went off very smoothly thanks in large part to them. Avi's ability to read the audience's mood and preferences was quite impressive. We have had many of our guests comment on how much they enjoyed the DJ's work as well as the lighting they provided. We honestly believe Avi's effort along his team helped make our wedding such a hit. 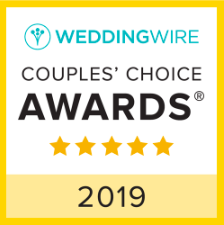 They also worked seamlessly with other wedding vendors and our bridal party which made things so much easier for us and allowed us to enjoy our wedding more. We can't thank them enough for all they did for our wedding. Would highly recommend them! From the beginning, the services from the entire staff was over the top. They were all friendly, courteous and professional. More importantly, they understood what we wanted after receiving vague instructions from us except saying "keep the dance floor packed." They did EXACTLY THAT!! The party continued until 2 a.m. which was definitely not planned. We cannot thank DJ Juicy and Marco enough for an unforgettable night!!! From helping us select the proper music for entrances to helping book the last minute dhol band baja. Even though Dhol Band Baja was only booked for the 1 hour baarat, they KILLED IT. They escorted Neel all the way into the Mandap with live instrumental indian music as a traditional indian groom entrance. I would highly recommend booking DJ USA as their entertainers and staff were all everything we could ask for and EVEN MORE.